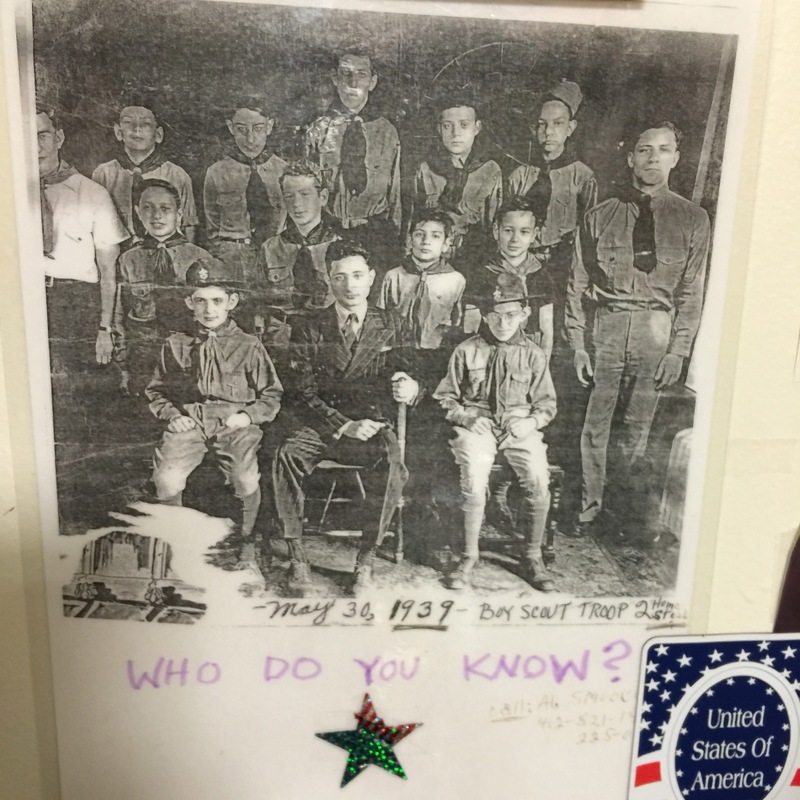 Troop 2 in Homestead was originally not a Jewish troop! The first mention I saw of Troop 2 in Homestead was the newspaper on 10/30/1914. 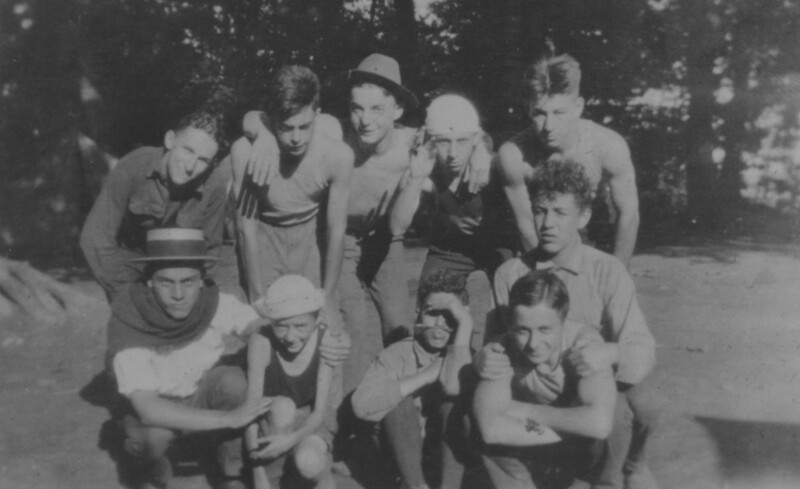 At this time the troop had a mix of Jewish and non-Jewish members. By mid-1918 the troop was disbanded, although scouting was at that time very popular due to the war. In February 1919 the troop was reorganized with new members, all of whom were Jewish! 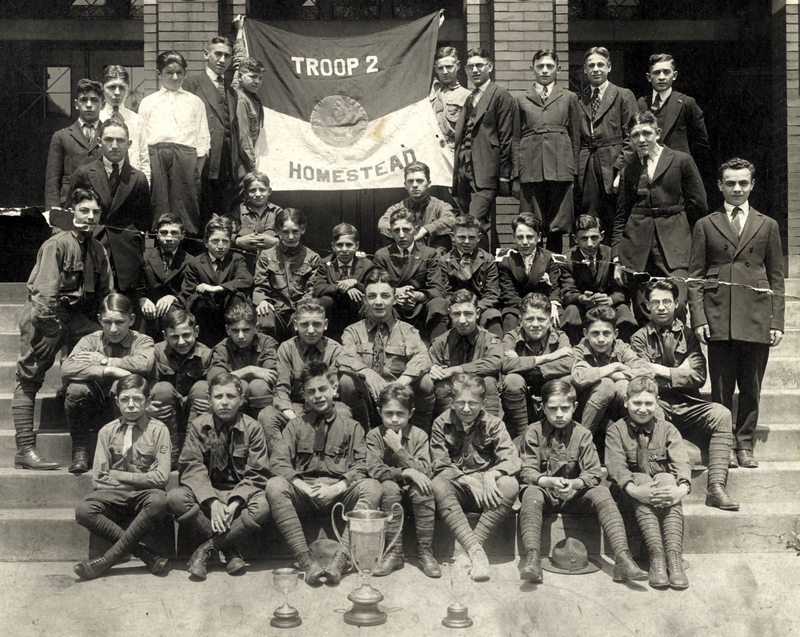 This is the Troop 2 so many Homesteaders remember so well. The group sprang into action with hikes, basketball games, and a vaudeville show. 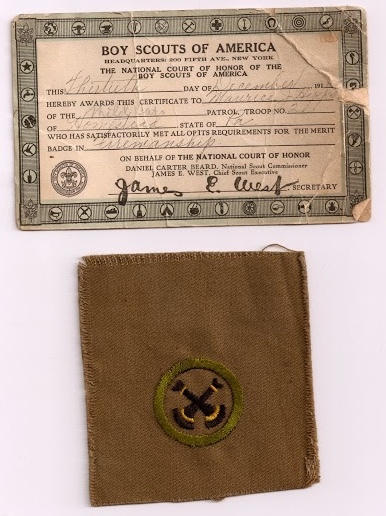 Dennis Novak also has this merit badge and certificate from Maurice. The year is difficult to read, unfortunately… clearly from sometime in the 19-teens. 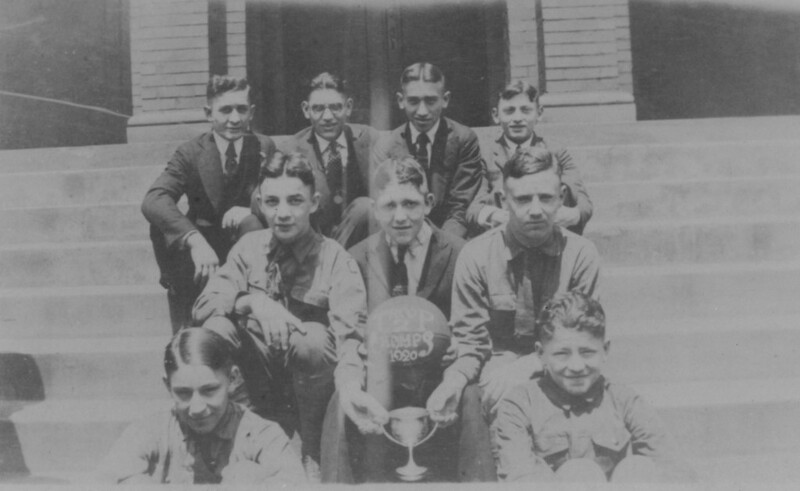 Troop #2 Basketball team, June 1920. 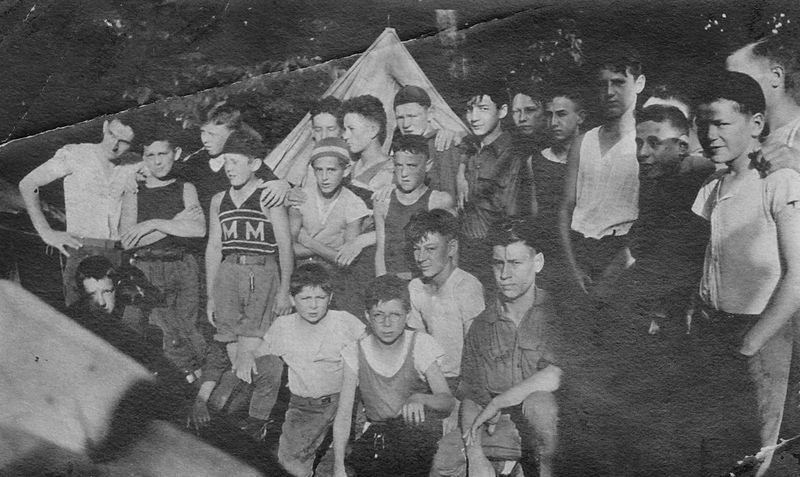 Jewish Scouts Camp Photo, June 1920 (source: Allen Grinberg via the Homestead Exhibit Photographs). A May 30, 1939 picture of the troop. This poster is hanging on the door of Alan Smooke’s apartment. He is on the left in the middle row. Behind him is my cousin, Bernard Keisler. Others of the men in the picture are also still alive; I will update with all the names shortly.